As we begin this new school year, we'd like to share our Core Values. 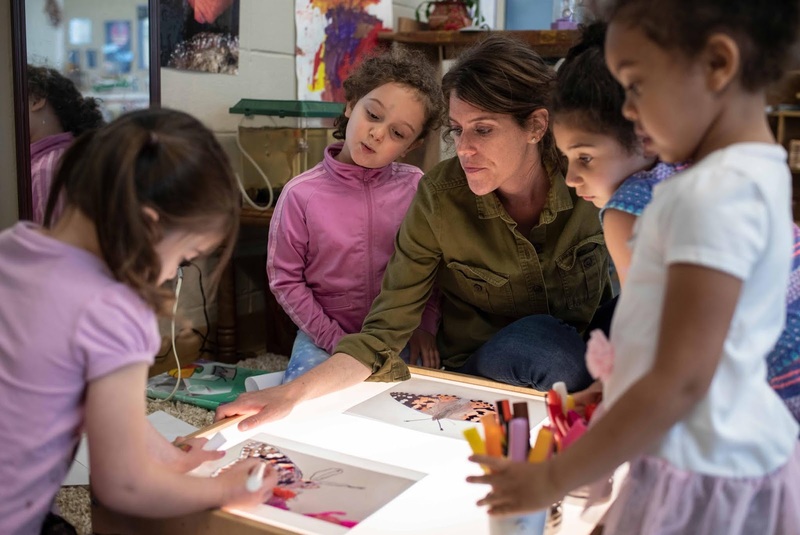 Formulating them is an effort that began last year by asking, "What is our WHY?" and it's a project we are still working on. Our values guide us daily, and they are what we strive for when we reflect on how we can do better. In our approach to teaching and learning, we strive for academic excellence in both Judaic and General Studies with the goal of our students learning because of a love of learning. This is accomplished by starting with the child first and caring about each child. We value promoting a positive relationship with Judaism. 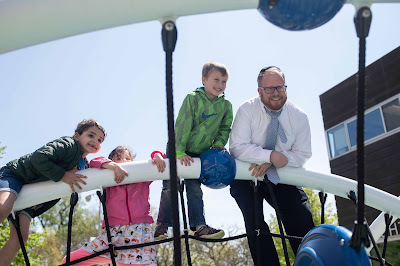 We strive to create positive Jewish experiences in and out of the classroom where a strong Jewish identity is built, a love and connection to the learning of Torah occurs, joyful performance of Mitzvot (Jewish commandments) and Chesed (acts of kindness) are created, and where a love and positive relationship with Israel and its people are made. 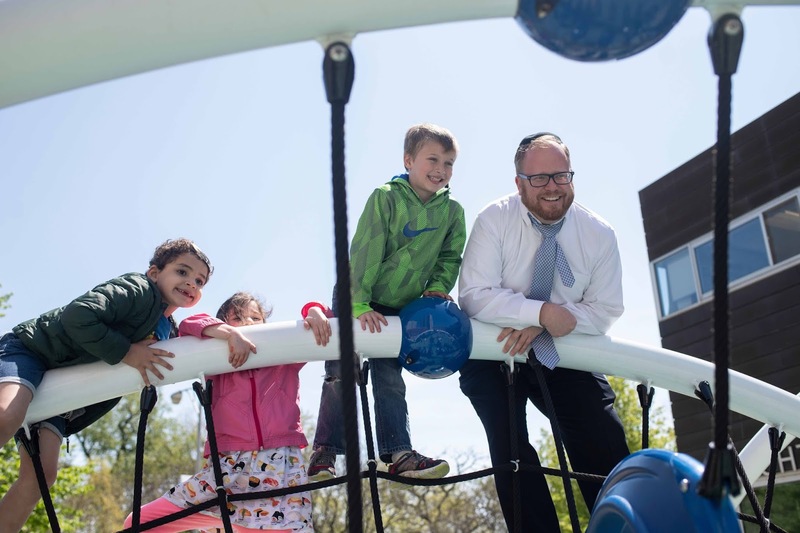 We value, appreciate, and respect the many different Jews that make up the Jewish people. We believe we are stronger together than apart. 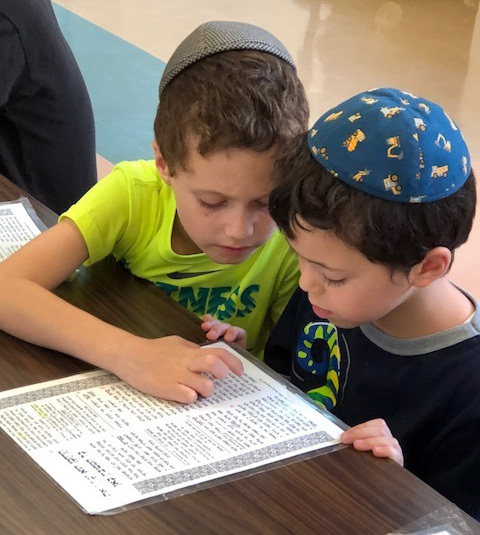 We strive to promote Jewish community, celebrate individual spirituality, and honor our shared heritage, commitment to Mitzvot and Halacha (Jewish law). We aim to build a strong connection with the land, state and people of Israel and above all, we appreciate the beauty of each and every Jew. We value, love, and respect all of Humanity and creation. 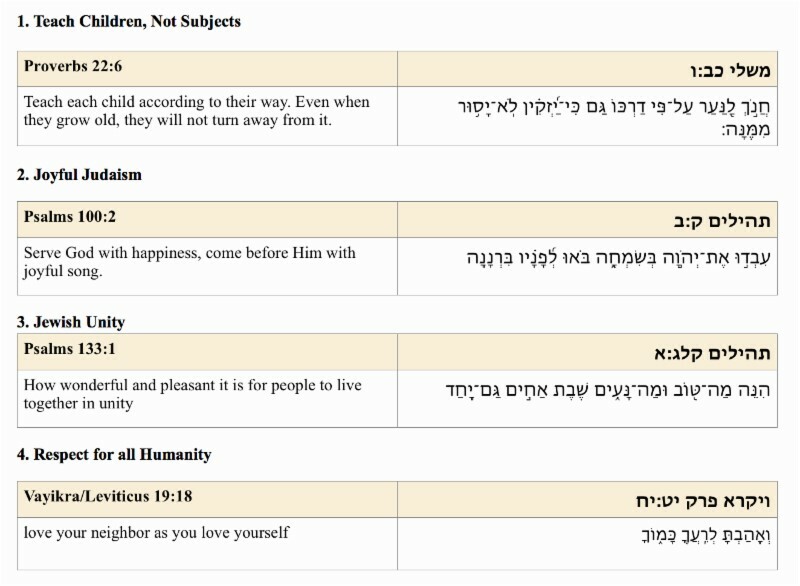 We believe everyone was created in the image of G-d and has inherent holiness. We strive to teach and model respect for all individuals, our school, and the world. 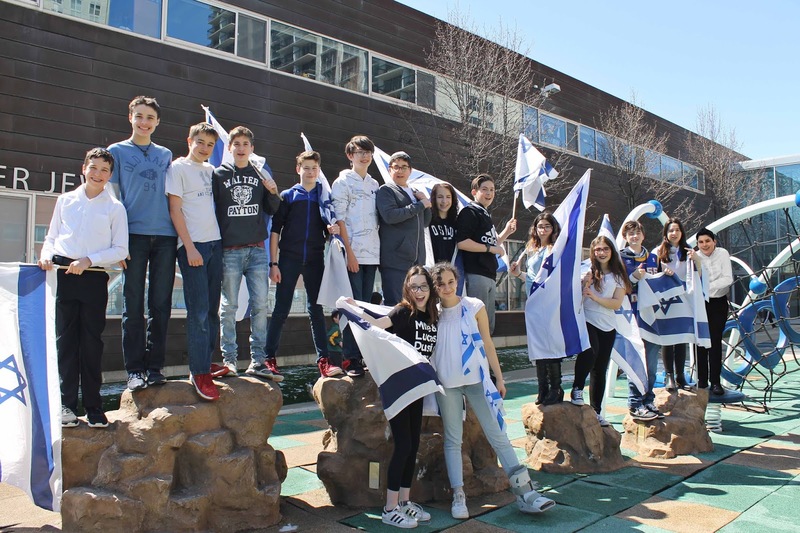 Our values are Jewish values, and we can't take credit where it is not due. 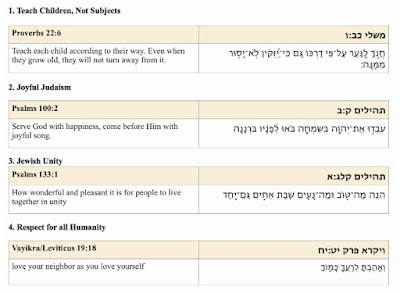 Below are each of our values and the related Jewish source.